What's Good For Baby Camels Could Be Good For Human Skin : Shots - Health News A Jordanian woman brought her camel's milk skin-care line — and a biotech startup — to Missouri. Her company is studying how the long-acting antibodies in camel's milk can help clear up acne. 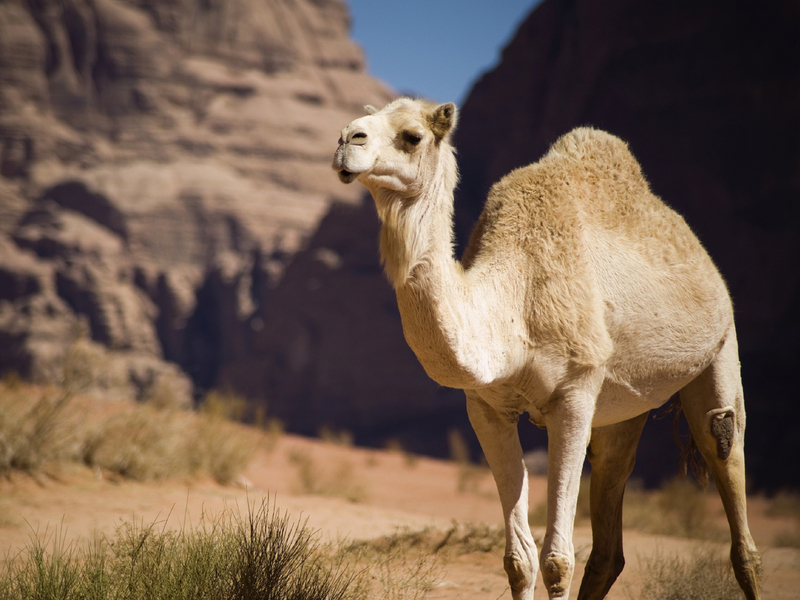 Camels in Jordan supply the milk for a Missouri startup's skin-care line. The company is studying the milk's anti-inflammatory properties. In parts of the Middle East, people drink camel's milk for its nutritional value. It boasts more vitamin C and iron than cow's milk, and it's lower in fat. But in the American Midwest, some people are rubbing camel's milk on their skin — in the form of a skin-care line from Jordan. 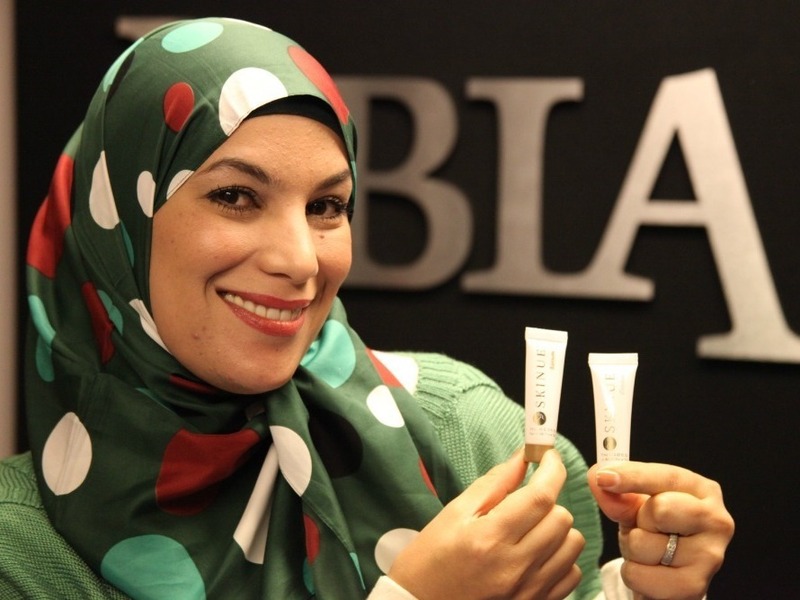 Penelope Shihab is the founder of a biotech company in Jordan — and the woman behind the Missouri startup that's working on the skin-care products. Scientists at Shihab's company in Amman, called MONOJO, have been analyzing the antibodies in camel's milk. These proteins help fight off infections, latching onto foreign pathogens and telling the body's immune system: "intruder alert." They typically degrade in higher temperatures and acidic environments. But the antibodies in camel's milk are stronger. "We found that those proteins are very, very stable against temperature, high temperature, and against high acidity," Shihab says. "Maybe the reason [is] because the camel can tolerate high temperature in the desert. Some of the scientists say that, but we couldn't confirm any of those suggestions." Shihab's research team tested these antibodies on acne. The camel antibodies succeed where others fail, says immunologist Khaled Al-Qaoud, because they remain intact longer at the site of inflammation, helping the body's immune system continue to fight the acne. Al-Qaoud, Shihab's research and development manager, says the results of the study impressed them — so much so that they concocted a camel-milk treatment for the skin condition. 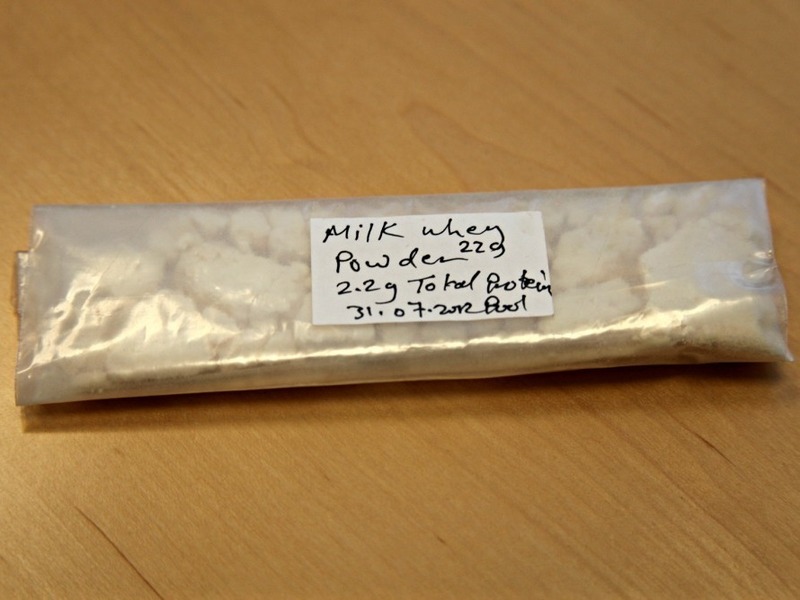 The camel milk is dehydrated to powder form so researchers can access the antibodies. "We use skin formulas, like, for example, gel or cream or serum — any type of formulation — and we put the whey of the camel that contains the antibodies in this formula," Al-Qaoud says. The creams look similar to those found at drug stores: milky white and floral-scented. Shihab says she's commercializing this formula in the U.S. first because Middle Eastern consumers trust American brands. A colleague directed her to Missouri, a small market where she could learn the ropes of the U.S. biotech industry. Shihab found a home base for her business in Columbia at the University of Missouri's Life Sciences Business Incubator, where 25 startup companies share lab space and equipment. Shihab's office sits in the corner; a piece of paper with the name "Columbia Biotech" is fixed to the cubicle. Jake Halliday, president of the incubator, helped Shihab register that name for her American subsidiary that produces the camel's milk skin-care line, now called Skinue. He says Shihab's technology meets the competitive standard to score a spot in the incubator with the other startups. Penelope Shihab, founder of MONOJO and Columbia Biotech, has distributed samples of her acne cream and serum across Columbia, Mo. "[The startups] should have technologies that in turn would become products and services — but mainly products — that have the potential to achieve $20 million in sales a year after about four or five years," Halliday says. As part of the incubator, Shihab has access to legal counsel, business consultants and other researchers. She says she hopes to have her product approved by the Food and Drug Administration, with Halliday's help. She also wants to look into its applications in cancer. She has already partnered with two university professors who are looking into increasing the efficacy of the camel-milk antibodies. In the meantime, Shihab has lined up a supplier in Dubai, a 3,000-camel farm to supply milk for the Skinue line, which now includes a moisturizer and a foot cream. Samples have been distributed to spas and salons across Columbia. Still, Shihab says she's aware of the challenges she faces breaking into an unfamiliar market. "It's a male-dominated industry," she says. "Yes, that's true. But when I started in the Middle East there were no men or women [in biotech]. So I am the only woman in the country who's the CEO for a biotech company. That was really very difficult, tough for me." If sales go well in Missouri, Shihab plans to take her Skinue line into the Chicago and New York markets, and eventually set up production of the line stateside.